Dear Customers: "If you find a better deal, we will match their price!" 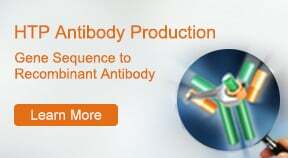 This Price match only applies to MamPilot™ guaranteed service (SC1989) for recombinant antibody expression projects. 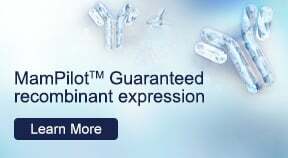 The antibody project needs to meet the criteria as defined by GenScript to qualify using MamPilot™ guaranteed service (Contact your technical account managers for an evaluation on your antibody). You will need to provide the quote from other vendors with a lower pricing structure and send back to us. Then, we will match their price for your guaranteed recombinant antibody expression project. This promotion is valid through May 31st, 2019 (excluding CN and JP). This offer is only valid to existing customers (who already ordered protein/antibody expression services prior to the time of submitting the "price match" request). 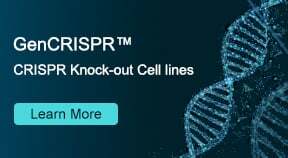 Take 10% OFF on selected protein and antibody expression service orders. Promotion is valid for domestic (US) and international customers. Only one promotion code can be used for each order. This promotion cannot be combined with any other promotion or special pricing agreement.